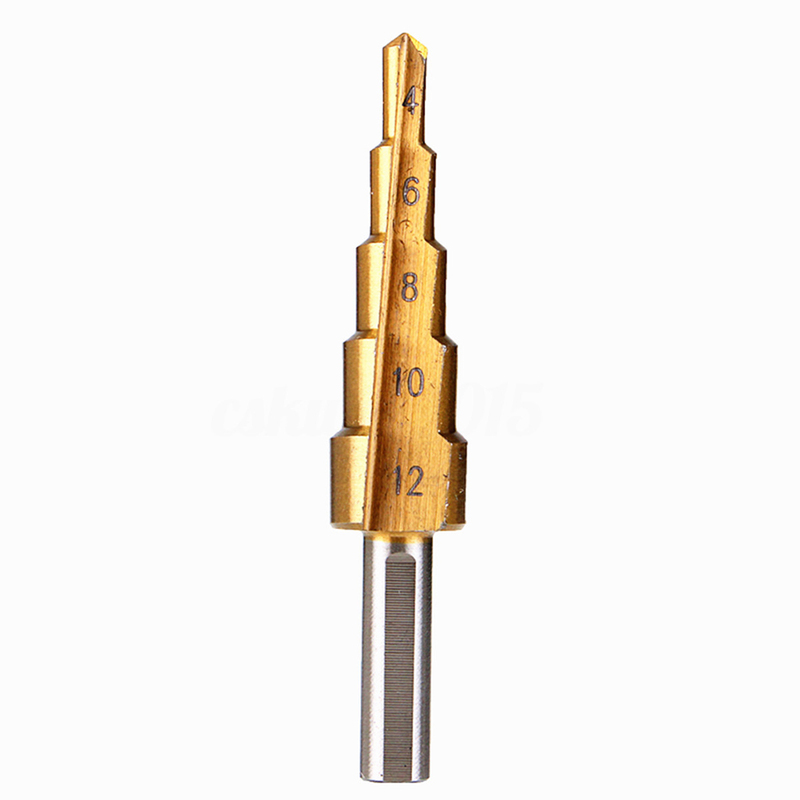 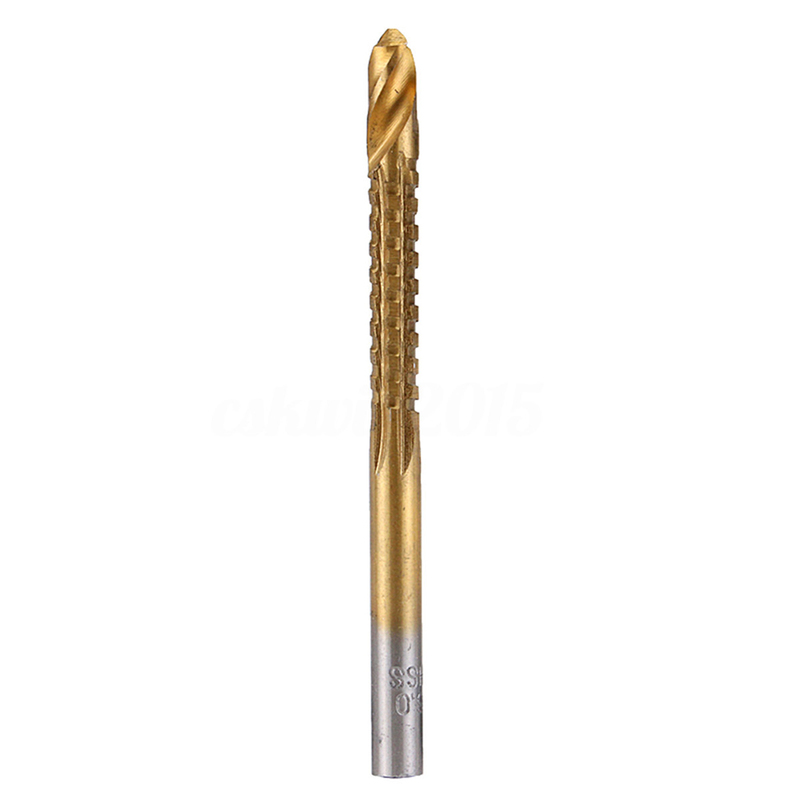 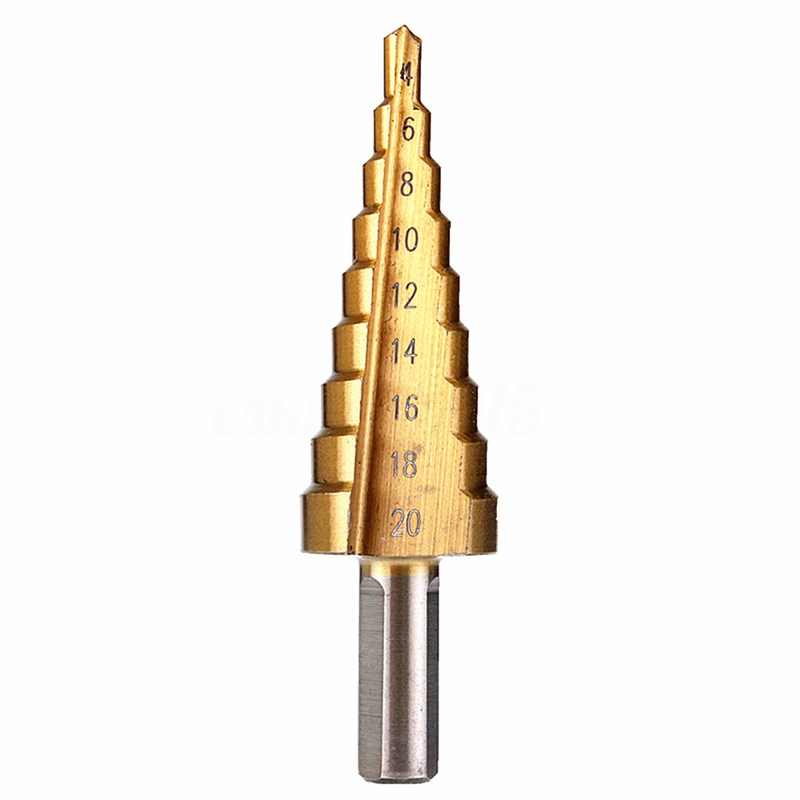 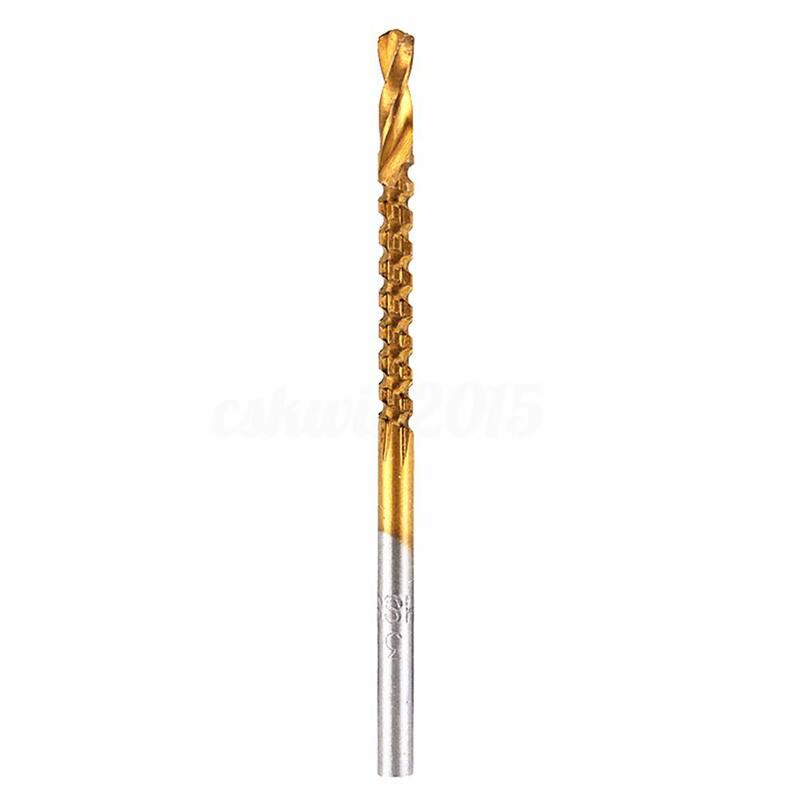 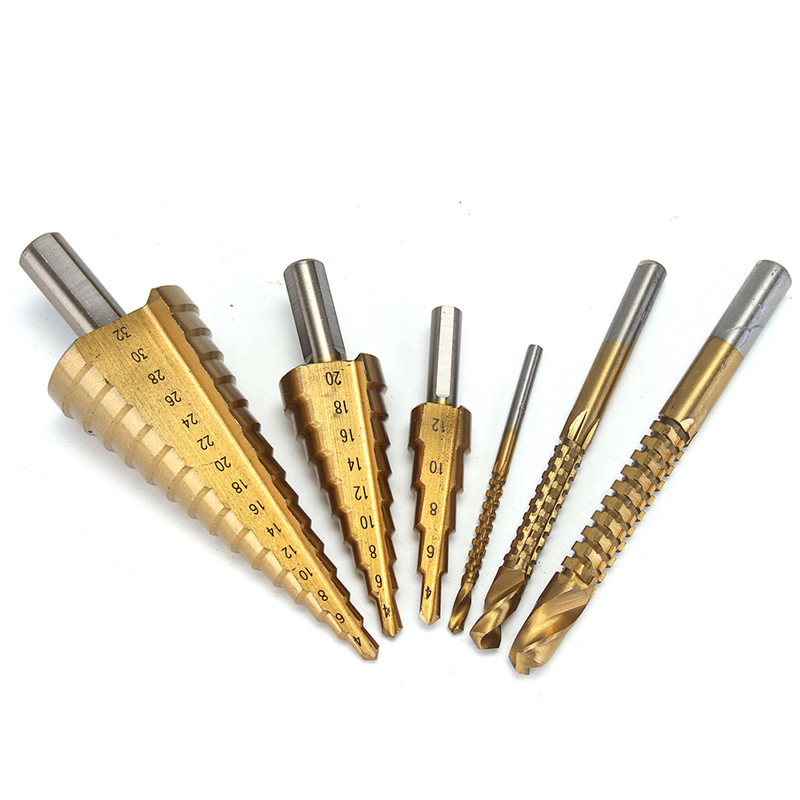 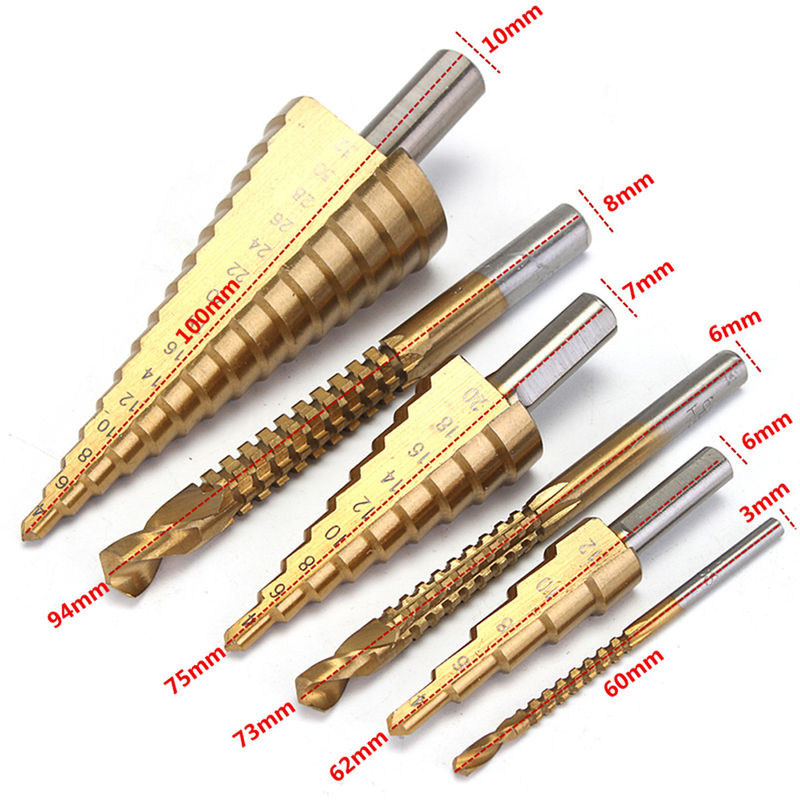 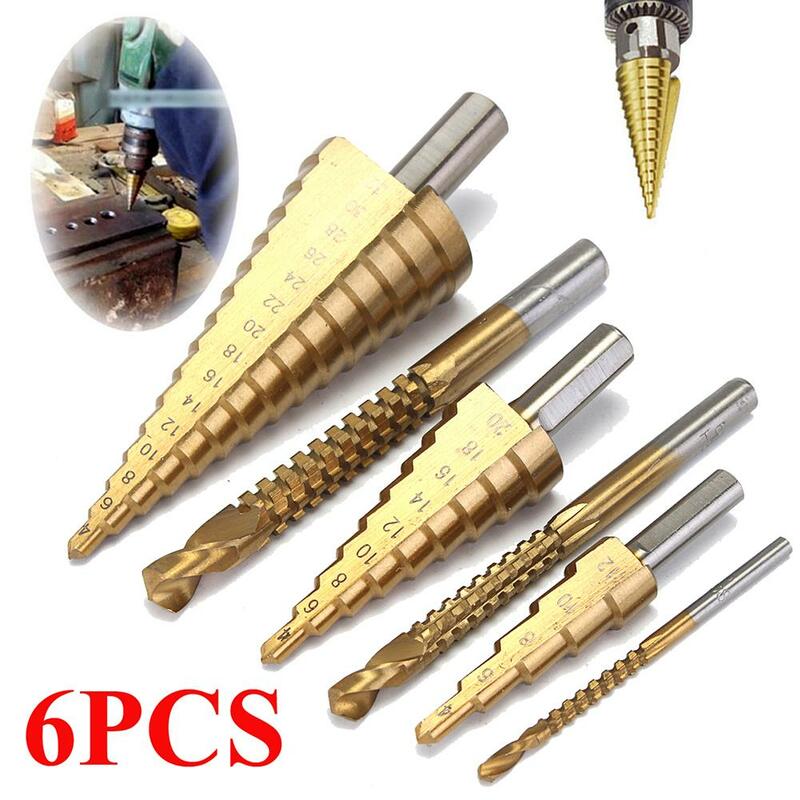 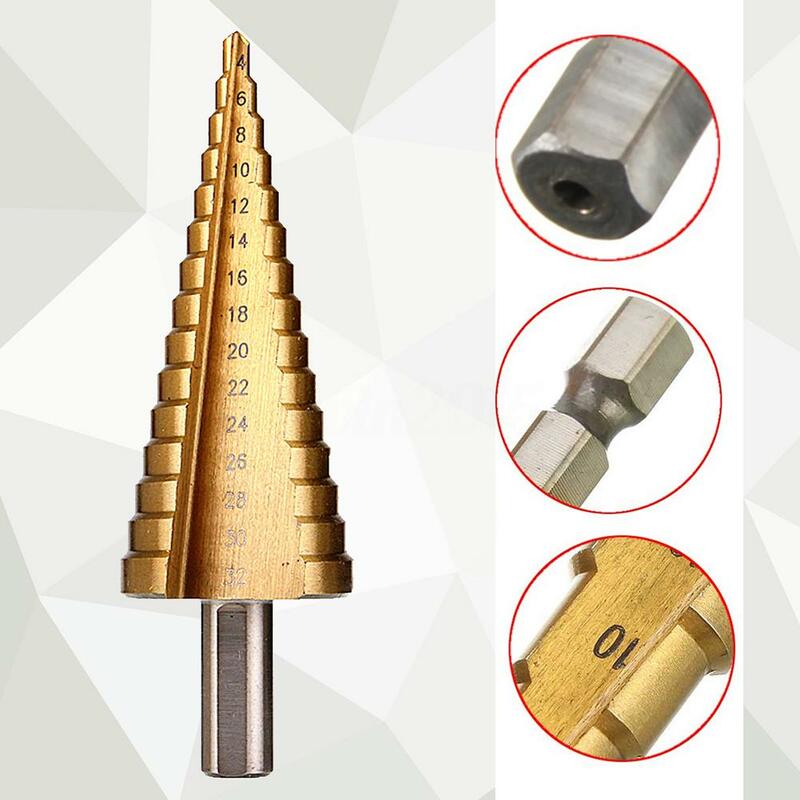 New Steel Large Step Cone Drill Titanium Bit Set Hole Cutter. 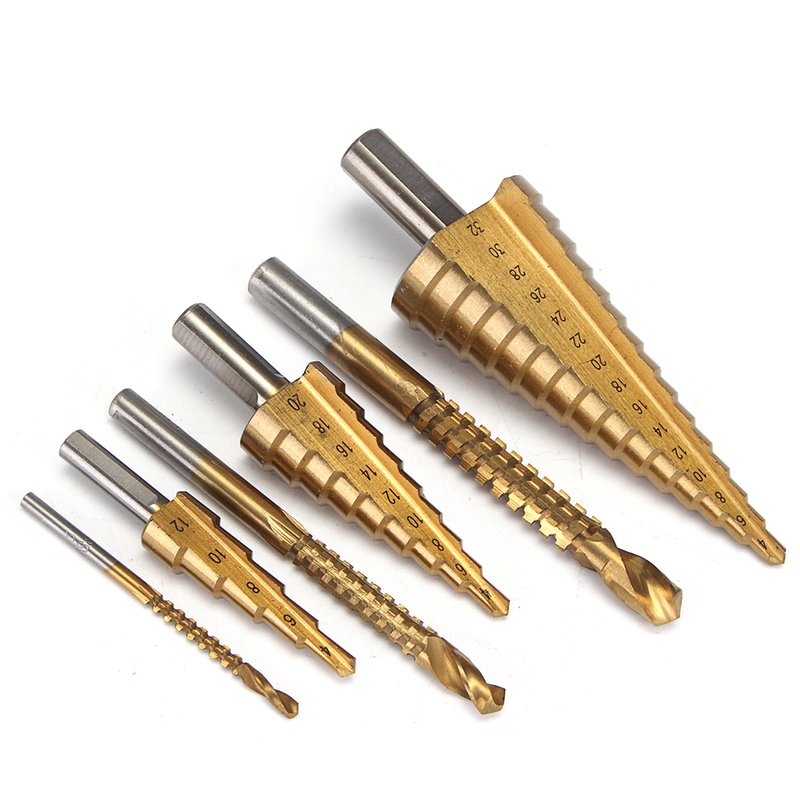 With the Titanium coated to reduce friction and heat. 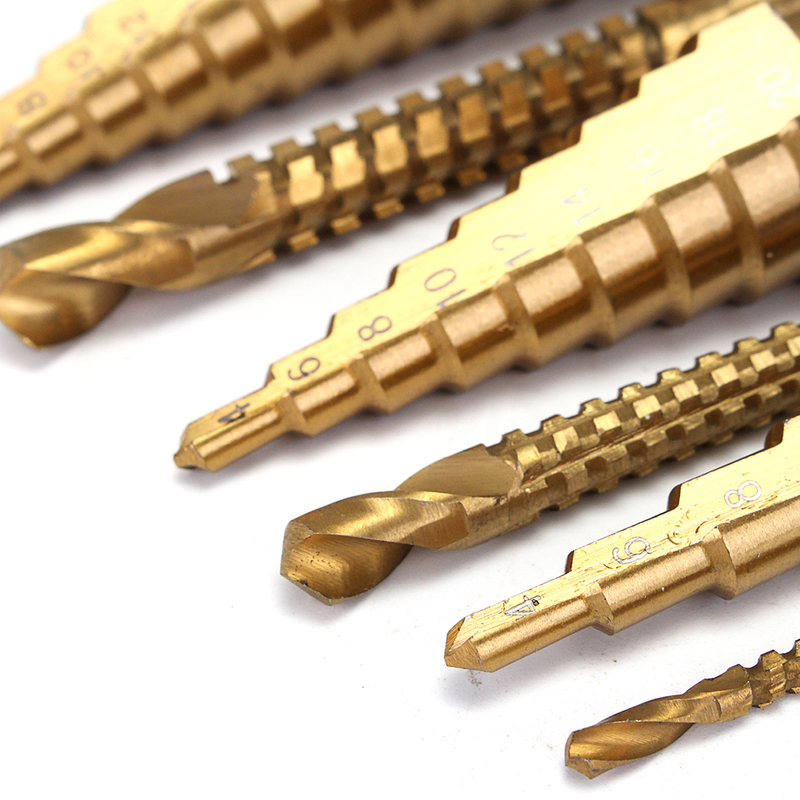 Two flute design provides faster, smoother and cleaner cuts. 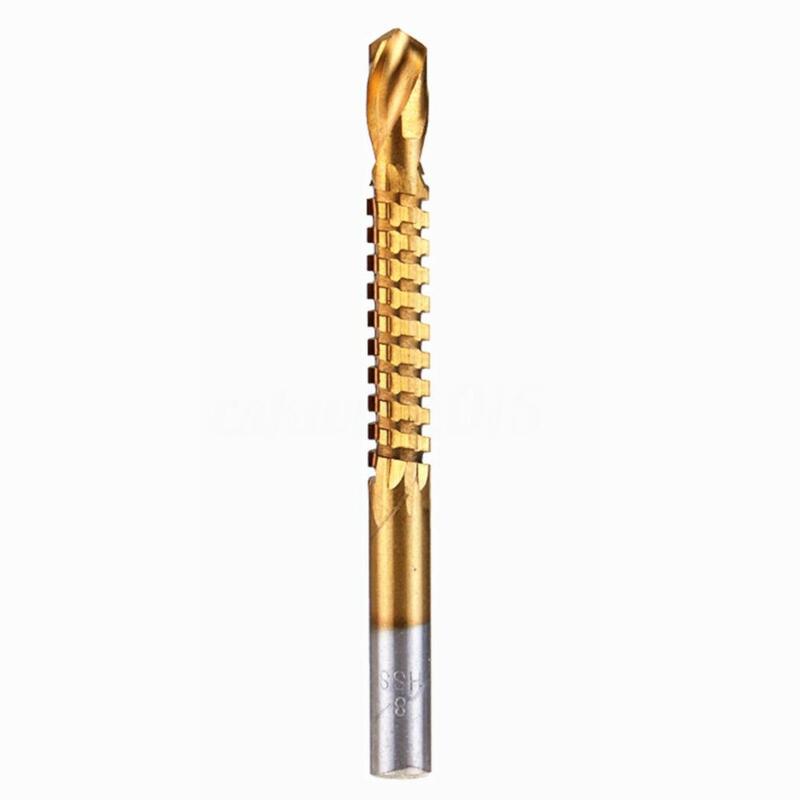 Suitable for using to cut holes in a variety of materials including steel, brass, wood, plastic, etc.